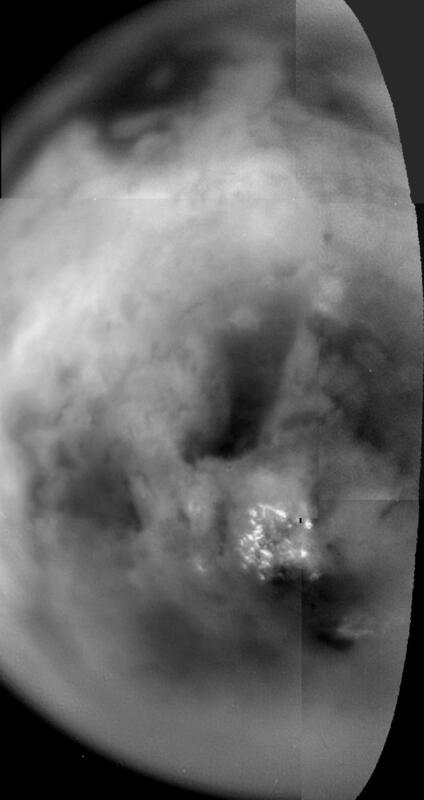 Shown here is a mosaic of Titan's south polar region acquired as Cassini passed by at a range of 339,000 kilometers (210,600 miles) on July 2. 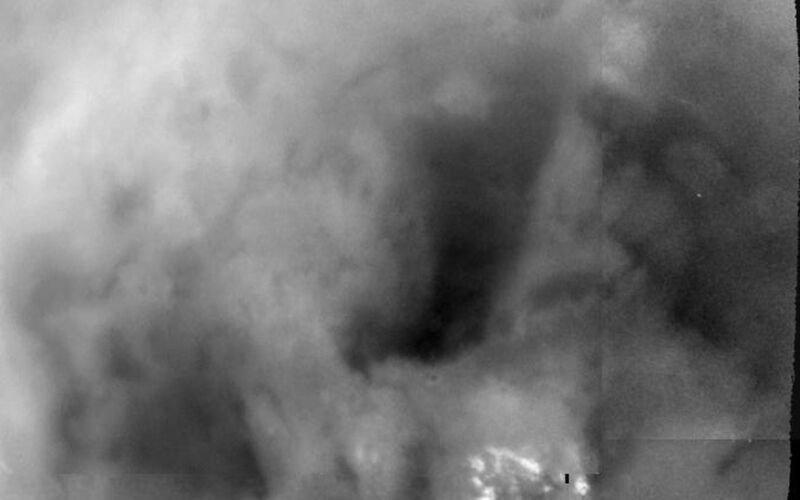 These images were acquired through special filters designed to see through the thick haze and atmosphere. The surface features become more blurry toward the limb, where the light reflected off the surface must pass through more atmosphere before reaching the camera. 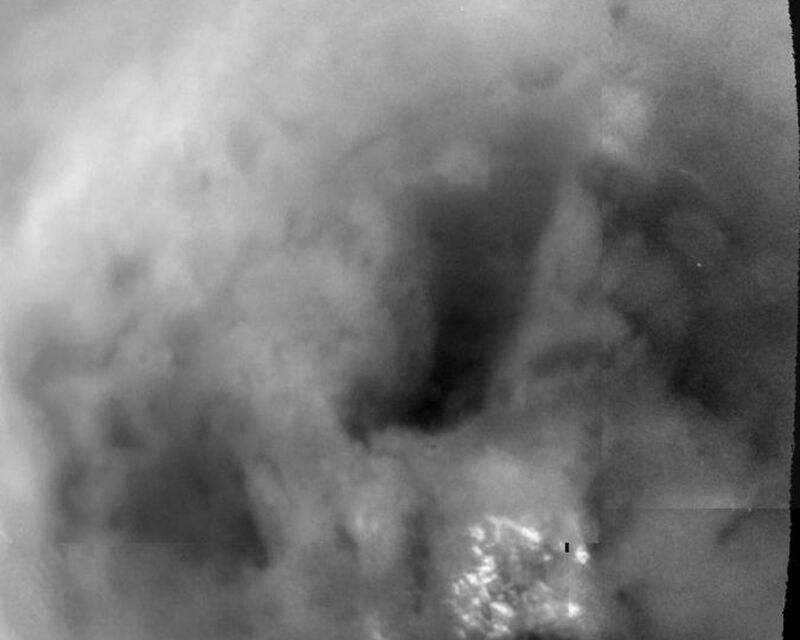 The bright spots near the bottom represent a field of clouds near the south pole. There are many strange dark and bright patterns on Titan's surface -- linear, sinuous and circular -- whose origins are not yet understood. The smallest features detected on the surface are about 10 kilometers (6 miles) wide.